The highly popular BlackBerry Messenger app has finally been released for those mobile device users. BlackBerry has now announced that the long awaited release of BBM (BlackBerry Messenger) for Windows Phone 8 has finally arrived, so those users can begin their downloading of the service so that they will be able to communicate with their friends, family, and work contacts through the mobile app. The popular instant messenger app has already been a hit on smartphone platforms other than its own. Earlier this year, BlackBerry released BBM for Android mobile device users and then for Apple’s iOS users, as well. Now, a few months later, the Canadian handset maker is jumping into another platform as it releases the service for Microsoft’s mobile operating system, as well. This is one of a range of different efforts that the company has been making in order to claw its way back to relevance once again, after experiencing one of the largest freefalls ever seen by the mobile sector. The BBM app for Windows Phone remains in its beta, but it offers the same type of functionality for which it is known. The beta version of the BlackBerry Messenger app still provides its users with chat, group chat, and even the broadcast functionality that the other versions of the application have to offer. This will allow users to be able to download and use it as it is updated and perfected until its official launch. The company has also revealed that it intends to provide those users with a larger number of features in the not too distant future. A version two update will come with a range of new features that smartphone owners will be able to use but that are absent in the current version. The BBM application is only one of a range of high profile mobile apps that have been making their way to the Windows Phone Store over the last few months. Although virtually ignored for quite some time, the Microsoft operating system is starting to draw some attention from important developers. Another recent addition that was seen to this marketplace was Adobe Photoshop Express, which drew considerable media and consumer attention. Android and iOS may hold sway over the majority of the mobile market, but Microsoft is keen to re-establish itself as a major contender with the launch of Windows Phone 8. The new smart phone, which was launched earlier this week, may not have received the same fanfare that usually accompanies the launch of an iPhone, but it has still managed to generate a great deal of buzz in the mobile technology world. Much of the interest Windows Phone 8 is receiving is thanks to its use of NFC technology. Microsoft has brought NFC technology to the Windows Phone platform in order to address growing demand for the technology amongst consumers. Microsoft does not share the same concerns as Apple regarding NFC technology and believes that it can be used to provide better services to consumers. Thus, Windows Phone 8 boasts of several features that are based on the technology, such as a mobile wallet that will serve as a platform for mobile commerce. The Windows Phone 8 Wallet, as it is called, provides consumers with a wide range of services. Through the Wallet, consumers can store boarding passes for trips, loyalty rewards from retailers, movie tickets and other such materials on a single platform. This digital information can be accessed and used at any time. The Wallet is also able to store the financial information of a consumer, allowing them to make purchases for goods and services using nothing more than their Windows Phone 8. While Windows Phone 8 boasts of many features that have won favor of consumers, it is the device’s NFC capabilities that may solidify it as a favorite amongst the tech-savvy. 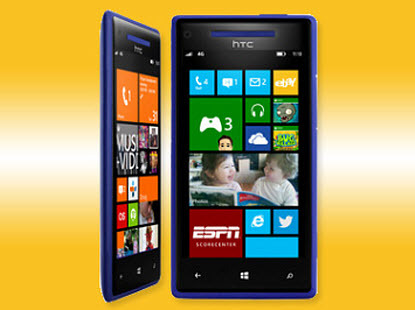 By adopting NFC technology, Microsoft is putting the Windows Phone 8 in direct competition with Google’s Android platform. The company, however, is not keen to shut out Google in any way. In fact, Windows Phone 8 is able to interface with any version of the Android platform that supports NFC technology, allowing the two platforms to share digital information in a seamless manner.